Continuing with the angular theme, this triangular maze honors the Great Seal of the United States of America. Many know this image from the US dollar bill. 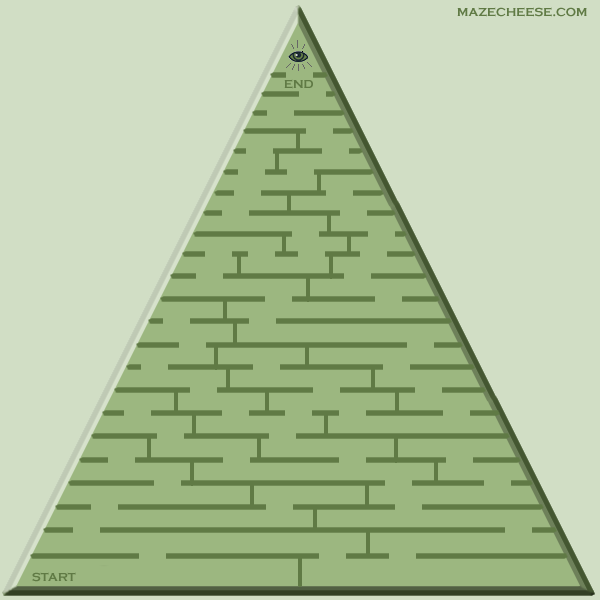 In the maze, use your finger, mouse or stylus to find the way up the pyramid to the All Seeing Eye. The maze is found at: maze 17. I looked at the image on the internet (Wikipedia.) 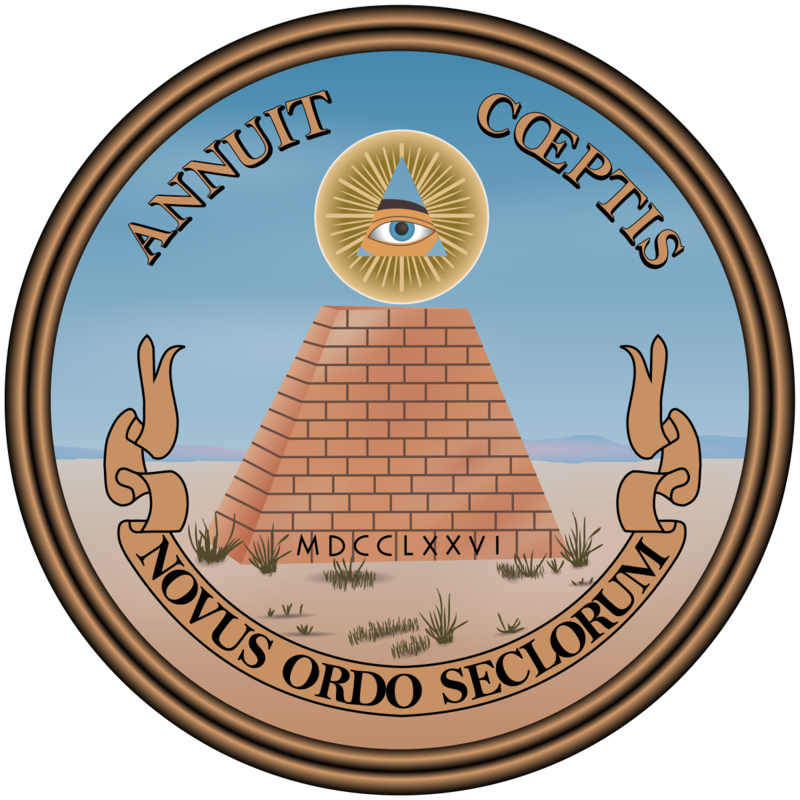 Here is the actual Great Seal of the United States of America, reverse side. 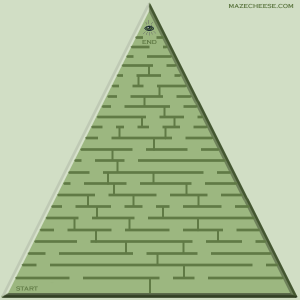 Unlike the pyramid of the Great Seal which has 13 steps, maze 17 has 23 steps. Thirteen would be too simple.